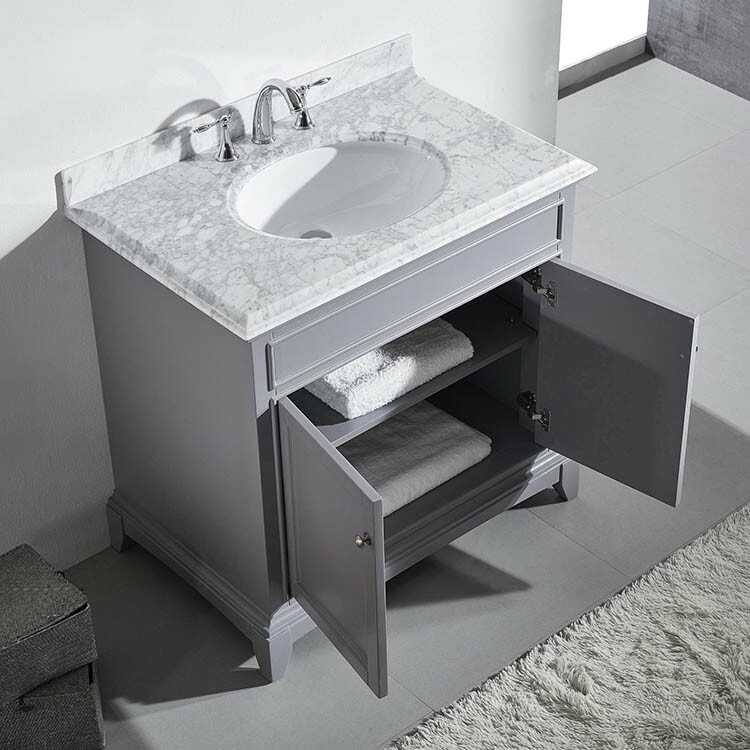 Eviva Elite Stamford® 36″ solid wood line bathroom vanity is one of the most elegant pieces designed with a Double OG White Italian Carrera Marble counter-top that accents the bathroom cabinet with a very luxurious look. 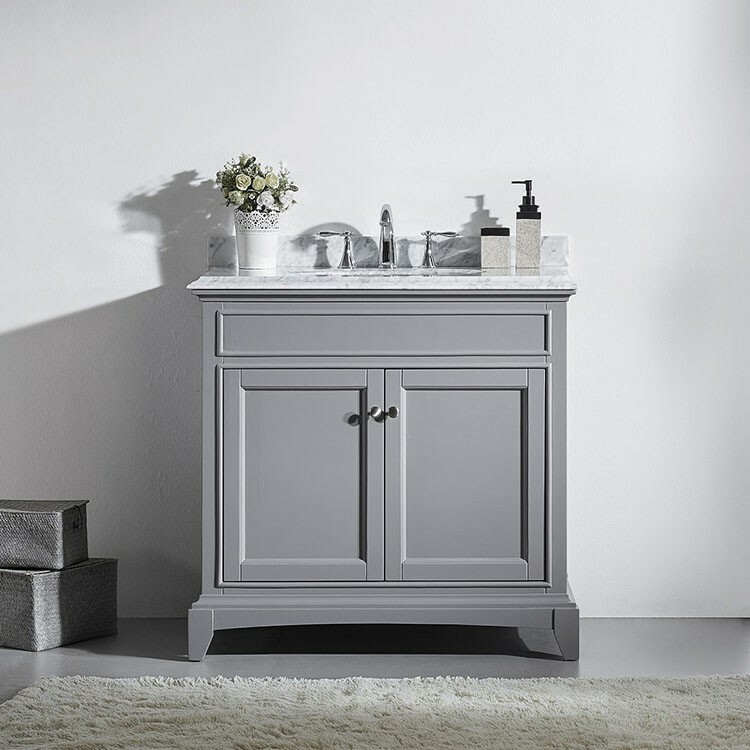 The 36″ Stamford bathroom vanity is designed and fully constructed of solid wood (base and doors). Soft closing hinges are also another feature of the Stamford bathroom vanities. Also, there is a perfect wide under mount porcelain sink integrated within the countertop piece that minimizes over splashing.